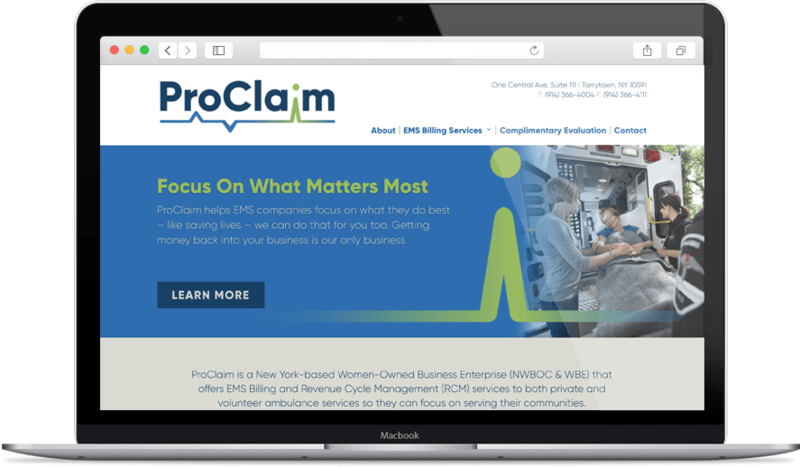 ProClaim is a New York based Women-Owned Business Enterprise that offers EMS Billing and Revenue Cycle Management services to both private and volunteer ambulance services so they can focus on serving their communities. 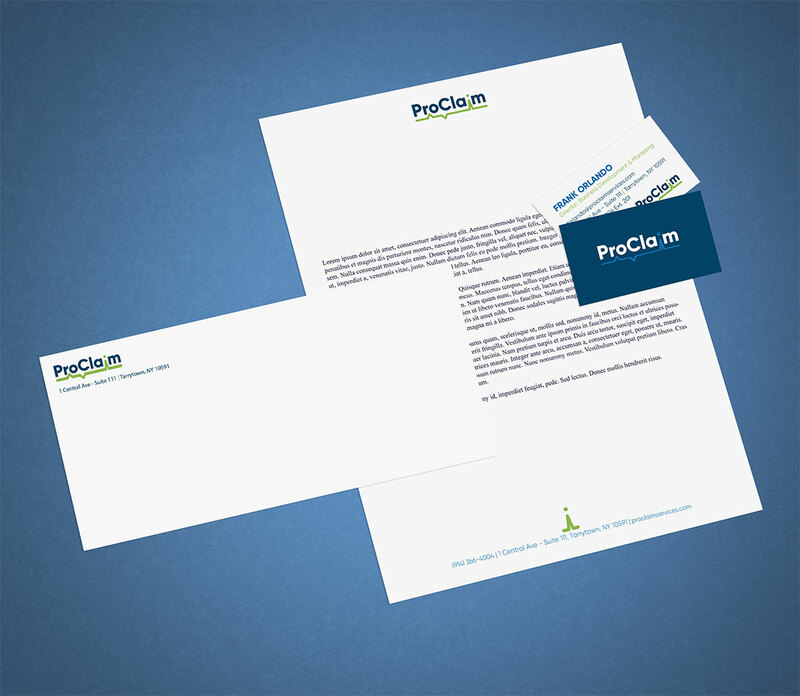 ProClaim challenged us to rebrand their business and craft a marketing strategy for quick wins and sustainable growth. Their old website had no analytics and therefore no way to measure traffic, and they knew they could no longer rely simply on word of mouth marketing. We got right to work. Since ProClaim only works in New York state, we knew a water-tight SEO approach was crucial for visibility and traffic. The website needed to be more user-friendly, contain only relevant information, and offer plenty of opportunities for prospective customers to reach out. Our strategy was chock full of fresh copy, analytics and SEO that would increase their visibility and give them a competitive edge. We leveraged their in-house consultant for industry expertise to bring best practices and competitive insight to every decision we made. ProClaim just launched our completely revamped website and we couldn't be any happier with the way the site turned out. brandbliss took our old website with outdated graphics, fonts, etc., and transformed it into a modern and incredibly attractive site. The attention is fabulous and we could not have picked a better team to represent us. brandbliss will remain our ‘web guys’ in the future! A sleek website that makes it easy for prospects to get in touch, get estimates, and get saving with ProClaim’s billing services. Now, their brand explodes with personality and entices new visitors with an easy-to-use interface. We added a new evaluation tool that lets customers quickly see just how much money they can save by partnering with ProClaim, reinforcing the company’s promise to “get money back into your business.” Our sustainable SEO marketing strategy has significantly increased ProClaim’s visibility, leads and sales.